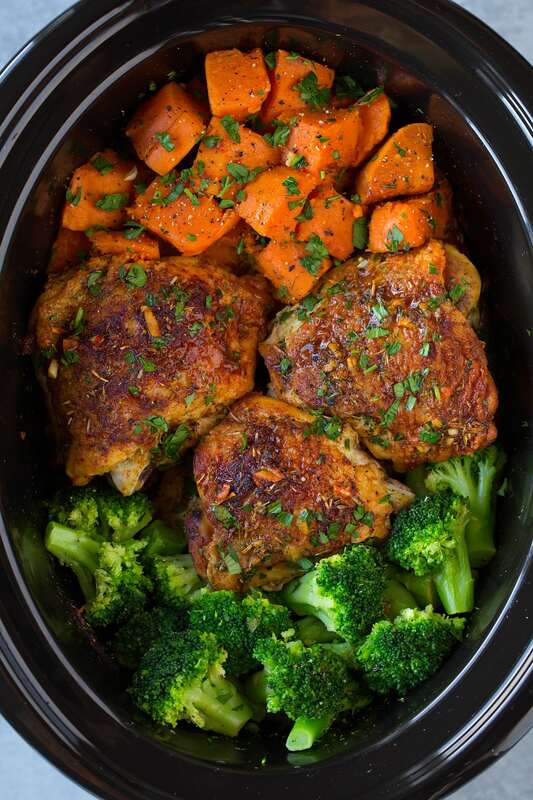 This Slow Cooker Chicken with Sweet Potatoes and Broccoli is perfectly easy to make yet it's so deliciously satisfying! A great meal any day of the week! This recipe makes a slow cooker full! As in once you add the broccoli it will be nearly filled to the top. So it's the perfect recipe to feed a hungry family on a busy day. I seasoned the chicken and sweet potatoes with a sort of rotisserie/cajun style seasoning. So it's got plenty of spices with a kick of sweet and spicy. But if you don't do spicy just omit the cayenne pepper.